2 x modern luxury apartments in a rural location within easy walking distance of Carterton township. Apartments are upstairs in an American style barn. They have views of the Tararua Mountains from every room. Both apartments have a bath with unlimited hot water! Free wireless internet. A continental breakfast is included. Please advise your approximate ETA when booking! Kilmory Cottage is a cosy homestay set on a working dairy farm just 5 minutes from Carterton. This private, self-contained cottage can sleep up to 6 guests and offers continental and cooked breakfast options. Situated close to the farm house enjoy a secluded escape or join the farming family for some home-cooked meals. Enjoy a beautiful night at Casita Flora, a contemporary and freshly renovated apartment style home located right in the heart of Carterton. A warm and cozy 2 bedroom apartment overlooking Memorial Square, furnished with a Latin American feel. Dine outside in our sunny private courtyard or relax with a glass of wine beside the fire. A 2 minute stroll to French, Turkish and Indian cuisine, plus local bars and micro brewery. 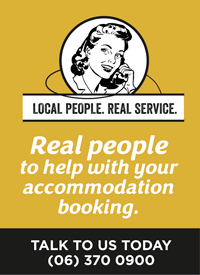 An easy walk to the Carterton Events Centre, supermarket and train station. 11 fully self-contained units. 2 new access units. Quiet setting. Easy 5 minute walk to town centre. Spanish style architecture. Boutique Bed and Breakfast accomodation on a beautiful Vineyard in rural Wairarapa. Our guest wing provides spacious rooms all with en-suites, and have doors opening to an outdoor area. Relax in private areas in our house, the "lookout" upstairs area is a favourite, we also have a spacious lounge/dining room set up for guests. Beautiful gardens and expansive lawns surround the house. Pete and Karen along with Black Labrador Cooper are your hosts. For millennia people have gazed in awe at Stonehenge and other great stone circles, often totally unaware of how these structures were used. Now a full-scale working adaptation of Stonehenge has been built right here in Aotearoa, allowing all New Zealanders to experience the wonders of stone circles for themselves. Situated in the Wairarapa countryside, a short distance from Wellington, Stonehenge Aotearoa is a window into the past where the visitor can rediscover the knowledge of their ancestors. It incorporates ancient Egyptian, Babylonian and Indus Valley astronomy, Polynesian navigation, and Celtic and Maori starlore. Built on the same scale as Stonehenge on Salisbury Plain in England. Stonehenge Aotearoa is not a replica. It is a complete and working structure designed and built for its precise location in the Wairarapa region of New Zealand. In this awe-inspiring place, people young and old can explore the mysteries of our past and learn how early cultures, including New Zealand Maori, used the Sun, Moon and stars for life and survival. See www.stonehenge-aotearoa.co.nz for current opening hours and special events. Private tours are available at any time by arrangement. 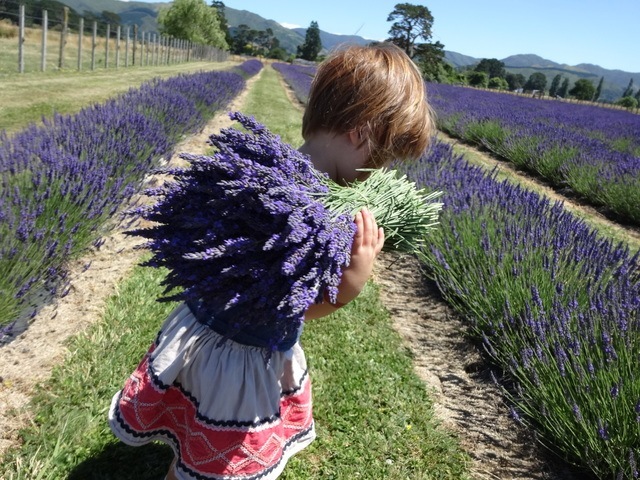 Visitors from all over New Zealand come to experience lavender growing wild and enjoy the incredible aroma. Keep an eye out for the next PYO dates in January 2020. 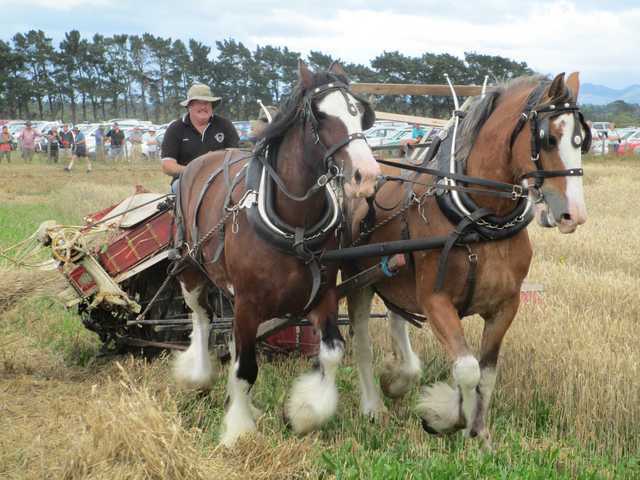 This much loved Wairarapa event on 3 & 4 February 2018 is organised by the Wairarapa Vintage Machinery Club. The rally is only held every four years. Get your tickets at the gate -EFTPOS available ansd cash sales too.